This movie has giants, dreams, friendship and compassion all rolled up into one two-hour long movie that is a wonderful experience. The BFG’s character and graphics are shock and awe to me. His job as a dream catcher is in danger and I think I just found my new career goal – catching dreams and using them to make other people happy. 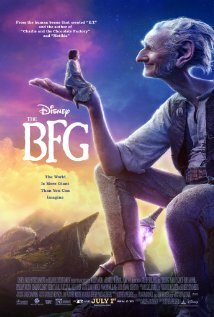 The BFG is a complicated, humorous character with many aspects to him. Brilliant director Steven Spielberg adds yet anoth er great movie to his resumé. Posted in Feature Film Reviews | Comments Off on The BFG – A Fantastic Fantasy! Dr. Seuss never gets old – Now, he’s teaching science to preschoolers. Join Sally and Nick and the Cat in the Hat to learn about weather (and things like that)! First, the kids are painting a picture of a rainbow but can’t seem to remember all the colors to use. Lucky for them, Cat takes them to Color-ga-lore to meet King Kaleidoscope, a rainbow expert. A musical number teaches them the proper color order as well as how rainbows are actually made! Then it’s time to jump in some puddles with Nick and Sally! But wait, where did the giant puddle disappear to? With the help of Cat’s Seussian camera, they see that their puddle has turned into water vapor. So off they go to Bluey Blue Sky to follow their puddle. They learn the water cycle process and when they return home their puddle is back! Weather is just the start of this trip with the Cat so come on board the Thinga-ma-jigger and hold onto your hat! The Cat in the Hat: Oh, Say What’s the Weather Today? I think that it is quite funny that the moms let Nick and Sally go everywhere with The Cat in the Hat. I get a little worried about that. That just goes to show how trustworthy the Cat in the Hat is. The moms have to be very trusting to trust a worthy cat like that. This 90 minute DVD is filled with seven adventures that are all about the weather which effects everyone, every day. I love that it has fun activities for children to do in between the episodes. It easily keeps you focused while teaching you about the weather in a fun and entertaining way. Dr. Seuss is loved by all children around the world and this DVD is voiced in many different languages. What started out as silly children’s book is something that children worldwide now share. Sometime science can be boring, confusing and seem like a whole different language but now we have The Cat in the Hat making science and weather concepts easy to understand and remember. Learning can be fun and exciting when watching animations that make it easy to remember. I recently interviewed Julie Stall, the producer of this series and she understands what makes children laugh and smile and has done an amazing job bringing Dr. Seuss books to life in over 60 animated episodes. Martin Short is the cat’s meow. He is the voice of The Cat in the Hat and has been in this role for over six years. His ability as a great character actor who can do many voices makes him a perfect fit for this role. I had the pleasure of meeting him in person a short time ago and found him very pleasant, easy to talk to and extremely funny. 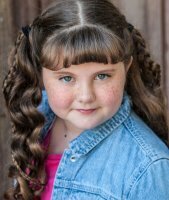 I’m so impressed by Alexa Torrington who voices Sally, the cute adorable little girl who goes off on learning adventures with the Cat. She has played the same character for over six years and is now a young adult, yet her voice sounds the same as when she started as a young girl. Sally is kind hearted, curious, and clever and loves learning. She is endearing and cute to watch. 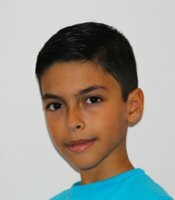 Jacob Ewaniuk voices Nick, the little boy who follows the Cat. He has also kept his voice consistent to his character. Nick is inquisitive, humorous and compelling to watch. I love to learn and this DVD taught me lots of lessons such as how clouds are formed, how wind power works, what the water cycle is and much more. One of the most intriguing lessons on this DVD is Chasing Rainbows because you get to learn two lessons in one. I love rainbows and this entire lesson is all about rainbows and has a catchy song that is still stuck in my head. I learned all about the colors of the rainbow and where they come from. Of course there is also the Fish voiced by Rob Tinkler. I adore Fish. Fish asks great question that make you think. He should hide the answers and make finding them a little trickier, although they are perfect hiding places for younger children. Then we have the cutest thing ever – Thing One and Thing Two. They always seem to be helpful and ready for The Cat in the Hat’s whistle to lend a helping hand. All three of these characters add a little something to this series and they are all adorable, quirky, humorous sidekicks for The Cat in the Hat. I recommend this series to ages 3 to 12. Younger kids will love the animation. Older kids will have science lessons reinforced and fun, cute cartoons to watch. I rate this 5 out of 5 Thinga-ma-jigger red and white top-hat stars. The Cat in the Hat: Oh Say, What’s the Weather Today is available now from N Circle Entertainment. Posted in DVDs Released | Comments Off on Dr. Seuss never gets old – Now, he’s teaching science to preschoolers. Just Keep Swimming, Finding Dory is Fun for the Whole Family! After 13 years, Dory and Nemo return to the big screen. The friendly-but-forgetful blue tang fish reunites with her loved ones and everyone learns a few things about the real meaning of family along the way. KIDS FIRST! Film Critic Gerry O. comments, “Finding Dory brings back the fantastic characters, amazing jokes and the fun story with important morals. This movie, much like Finding Nemo is an adventurous comedy, but that isn’t all that this film has to offer. It also has a good amount of child-friendly action.” Ryan R. adds, “The animation is amazing, the humor hilarious and witty and the plot is so heartfelt. It does not disappoint.” Harmony M. wraps it up with, “The anticipated sequel Finding Dory is adorable and fun, but not a match for the original. It’s a brilliant and enjoyable movie on its own.” See their full reviews below. It has been 13 years since easily the greatest animated film came out. Now, the very hyped up sequel has been released. Finding Dory brings back the fantastic characters, amazing jokes and the fun story with important morals. This movie, much like Finding Nemo is an adventurous comedy, but that isn’t all that this film has to offer. It also has a good amount of child-friendly action. On top of that, the movie features many important morals that teach kids lots of good lessons. Mind-blowing animation by Pixar also impresses the audience. Finding Dory follows one year after the events of Finding Nemo. Nemo, (Hayden Rolence), Marlin (Albert Brooks) and Dory (Ellen DeGeneres) are all back in the coral reef, living happily. 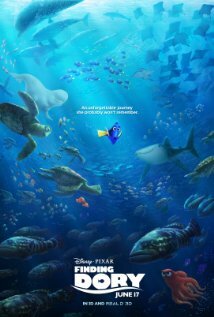 However, everything changes when Dory gets a memory about her past and her family. They all then go on a quest to the far away coast of California to find Dory’s parents. On the search for her parents they meet new friends and see old friends. Many events lead up to one main event. Do they find Dory’s parents or not? If you want to find out, you have to watch the film. As much as I enjoyed this sequel, I was disappointed as it felt like Finding Dory made some of the same mistakes that Star Wars: The Force Awakens made. Both were massively hyped films to continue a successful franchise. Both movies seemed to repeat a lot of the story line from the previous film. The events in Finding Dory are almost exactly like the events of Finding Nemo. This makes it very boring and quite predictable for people who saw the first film. On top of that, Finding Nemo is a fantasy but is done much mor e true to science. Some of the moments in Finding Dory feel forced even for a fairy tale. On top of that, the jokes in Finding Dory are somewhat repetitive, lack originality and, only a few times, are actually funny. What is especially enjoyable are the scenes with Ty Burrell’s voicing the Beluga character. The first film was a complete success in its comedy. You could see Finding Nemo twenty times and still laugh. With Finding Dory, I’m not sure someone would watch it multiple times. However, there is one thing I really adore about this film – the cast. Since it’s been thirteen years after Finding Nemo, the quality of the voice acting was a big question. But after watching the film, I can say it feels like it was made directly after Finding Nemo in 2003. What is most impressive – Hayden Rolence who voices Nemo. Of course, since it’s been thirteen years, the actor who voiced Nemo can no longer do the same voice so they had to find a new kid. Hayden is stupendous in this role and I could not notice a difference between the two. My favorite scene is when they introduce my new favorite character, Hank (Ed O’Neill), an octopus. Hank finds Dory and agrees to take her to where they think her parents are in return for something that Hank needs. This scene is hilarious and the dialog between the octopus and Dory is delightful. Finding Dory is meant for kids and thus, has nothing parents should be worried about. Because of a few action scenes, I recommend it to ages 4 through 18. I give it 4 out of 5 stars because the story is so similar to the original and seems rushed and even a bit boring at times. But the voice acting and amazing animation by Pixar makes it all worth the wait. This film’s humor is so hilarious, I laughed my pants off and that’s why I love it so much. Some of the jokes are also funny for adults, which I also liked. I love the animation because Pixar makes the sea life in this film look so realistic and the colors are so rich and vivid. The characters are adorable, kid-friendly and nice. Pixar has done it again. They made me feel all kinds of emotions – happiness, fear and sadness, just to name a few. I love the film from beginning to end. It is really fantastic. .
Ellen DeGeneres is child-like and goofy. Her portrayal of Dory really excels. However, my favo rite character is Hank, the octopus (voiced by Ed O’Neil) who gives an outstanding performance). He can camouflage into anything. I love how he has that ability. I also like how he makes so many hilarious jokes. He assists Dory on her adventure to find her family so he can leave the Marine Life Institute and go to Cleveland. We see how Hank’s personality slowly changes throughout this film because of Dory. I just love how Dory grows on him and how he helps her no matter what. Also, I noticed that all the characters in this film have some type of disability in some way or another and all of them learn to overcome it. That is a very important message in this film. I give this film 5 out of 5 stars and recommend it to kids ages 4 to 18. You should be aware that there is one short scene that involves an octopus that may scare some children but it is very brief. I also recommend this film to people who like children, family and action movies. And, I think that adults will enjoy this. Make sure to see this film when it opens Friday June 17. The anticipated sequel Finding Dory is adorable and fun, but not a match for the original. It’s a brilliant and enjoyable movie on its own. The only problem is the bar was set in Finding Nemo. Basically, it is fun, but nowhere near as compelling as Finding Nemo. Considering the amount of time that has passed since the first one, they did everything they could to keep things consistent with the original which is a big plus. The film focuses on the forgetful, yet friendly blue fish Dory (Ellen DeGeneres) and her journey to find her family. The plot is connected with a series of flashbacks from Dory’s childhood and in bursts of random memories which is different and unexpected. I really like how they connected scenes and referred to experiences from the first film and I love that they even have many appearances from the original characters. The film provides outstanding humor as Pixar always does, giving people of all ages unforgettable enjoyment. I was extremely relieved to see the same style of animation and camera work in the second film because I feared that, after all these years, they would try to advance the details and tweak the animation. However, it is safe to say the film resembles the first and the consistency is very comforting. In comparison to the other sequels Pixar and Disney have created, Finding Dory is very impressive. The movie can be a bit of a let down if one’s mindset is on the expectations from the first one, but it is a fun adventure on its own. I was concerned whether Dory could successfully carry the role of a main character since she had previously played a supporting role, but she carried it out well. The supporting cast really stands out and brings the comedy to life and their pleasant personalities bring a fun element to the film. One of the best aspects of this film is the focus on character development rather than the fun journey. Pixar provides more than just comedy and entertainment for the kids. The film contains thoughtful messages and shines a light on mental disabilities. While the film is not as good as you expect it, it is not as bad as you feared. The film is definitely worth watching. I recommend it for ages 5 to 18. People who saw the first film will particularly enjoy it. Otherwise it might be difficult to fully understand. I give this film a 4.5 out of 5 stars. Check it out when it opens in theaters June 17th. Posted in Feature Film Reviews | Comments Off on Just Keep Swimming, Finding Dory is Fun for the Whole Family! TMNT – An action-packed movie with lots of comedy, suspense and thrills. I’ve never been a fan of Teenage Mutan Ninja Turtles but this latest film seems to have turned a corner in its intent and has many redeeming qualities. The storyline is nothing spectacular – keep someone from overtaking the world but, somehow, this is a kinder, gentler TMNT. KIDS FIRST! Film Critic Na’im S. comments, “This is an action-packed movie with lots of comedy, suspense and thrills. In this film, there are many characters that were in the first TMNT movie as well as the original cartoon such as Shredder and Casey Jones. Bebop and Rocksteady make their first debut in this film and it is a hilarious debut, because the actors who play those characters are very funny.” See his full review below. “Shhhh! You have to sneak up on them.” I’m talking as quiet as a ninja because I’m reviewing Teenage Mutant Ninja Turtles: Out of the Shadows! If you liked the first Teenage Mutant Ninja Turtles movie, then you’d better hurry up and buy tickets for this next movie, because it’s even better! This is an action-packed movie with lots of comedy, suspense and thrills. In this film, there are many characters that were in the first TMNT movie as well as the original cartoon such as Shredder and Casey Jones. Bebop and Rocksteady make their first debut in this film and it is a hilarious debut, because the actors who play those characters are very funny. In this film, Shredder has returned, but this time without a mask. Shredder (Brian Tee) is the evil mastermind that everybody hates. Brian Tee is the perfect actor to play Shredder because he never breaks character and makes the audience believe he is really scary. While Shredder is being transported to prison, many unexpected things happen and the Ninja Turtles go through a lot of trouble to find and defeat him once and for all. Fenwick (Will Arnett) is the person who takes credit for defeating Shredder in the first movie even though it was the Teenage Mutant Ninja Turtles, because the Turtles can’t show their faces in public. Baxter Stockman (Tyler Perry) is a scientist with a hilarious laugh. Baxter Stockman works with Shredder and the Foot Clan to try and take over the world. Motion capture is used to create this film which means that the actors put on sensors and the sensors capture their movements and put them onto the screen. So, the film is part animation and part live action. It is nice to see an appearance by Carmelo Anthony, a New York Knicks NBA player because the setting is in New York City and seeing him in Madison Square Garden makes the movie seem even more realistic. I give this film 5 out of 5 bold stars and recommend it for ages 10 to 18. Adults who liked Teenage Mutant Ninja Turtles when they were younger will also very much enjoy this film. This film is rated PG-13 for mild profanity and violence. Posted in Feature Film Reviews | Comments Off on TMNT – An action-packed movie with lots of comedy, suspense and thrills. The Violet Crown Cinema in Santa Fe has brought back their Free Family Film Series this summer. A new film screens each week on Tuesdays and Thursdays at 10:30 a.m. throughout June, July and August. It is Free to attend. Tickets are available at the cinema on a first-come, first-served basis until capacity is reached. The titles playing through June include: A Little Princess: June 14 & 16; Explorers: June 21 & 23; The Sandlot: June 28 & 30. This is a great chance to be able to see these films on the big screen! When did you do that last? KIDS FIRST! Film Critic Bison B. comments, “These are all great movies for the whole family to enjoy. Each one has very unique stories and experiences which make it very difficult to pick a favorite. I truly loved each one.” His full review is below. The Violet Crown theater is showing ten classic movies for families throughout June, July and August. The five that I’ve seen are Explorers, The Sandlot, A Little Princess, Fantastic Mr. Fox and The Wizard of Oz. These are all great movies for the whole family to enjoy. Each one has very unique stories and experiences which make it very difficult to pick a favorite. I truly loved each one. This week’s feature is A Little Princess. I have to say this movie definitely surprised me. It was shot in 1995. Although it is not my exactly type of movie, I found myself totally into it. This film is about a girl who is sent to a very strict boarding school while her dad fights in World War I. Moving from a beautiful place in India to New York City, she faces many challenges while sharing a kind heart. Next up is Explorers which was shot in 1985. When I watched Explorers, I found myself mesmerized by not only the story line, but the creativity throughout the film. Ethan Hawke plays Ben Crandall and gives a stunning performance. He truly becomes his character. This film is of the sci-fi / adventure genre. Explorers is based on three middle school boys who dream of alien life in the universe and meeting those alien life forms. It is definitely one of my favorites. The following week is the classic summer film, The Sandlot. I really liked The Sandlot. It was shot in 1993 and is about a group of kids who love to play baseball. One day they decide to play with a friend’s father’s ball signed by Babe Ruth. That is where the story begins. This film is great for everybody who likes to get a good laugh, but wants to see growth in the character’ personality. One films that has already played are Fantastic Mr. Fox which says it all in the title. It’s simply fantastic! This is an animated film created in 2009 that is about a family of foxes that are in an all out war with farmers. I loved this adventure comedy. There is not one boring part of the film. (Judy Garland) who gets trapped in her house during a tornado and is teleported to Oz, a beautiful land full of witches and munchkins. In order to return home, she must go on a quest to have an audience with the powerful wizard of Oz. Along the way, she meets friends that teach her important lessons. You are currently browsing the KIDS FIRST! News weblog archives for June, 2016.